Ensure that the material lens care is close at hand. Please work on a clean, smooth surface. Always start with the same lens. Most start with the right. Fill the lens case with fresh solution. Remove the right lens of your eye and place it in your hand. Put a few drops of the multi-purpose lens. Using the index finger, gently rub each side of the lens with a move forward - backward. Cleaning after each use by removing the lens residues and deposits. After you clean the lens, rinse well with a constant flow of fresh Multi-Purpose Solution to be released completely from the lens debris. Rinse each time you clean the lens, ensuring removal of residues and deposits removed by cleaning. Place the lens in the correct slot bag lens. Make sure the Multi-Purpose solution completely covers the lens. Secure the cap and repeat the process for the left lens. Leave the lenses in the bag for at least 4 hours or over night. After sterilization, remove the lens from the bag and put them in your eyes. No need to rinse them after sterilization and before you put in your eyes. Pour the solution from the lens case and rinse with fresh Multi-Purpose Solution. Place the cap. The case you are now ready for the next use. 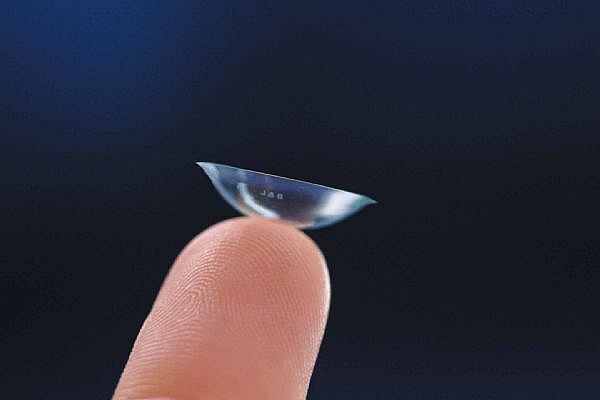 The sterilized after each use of lenses, kills microorganisms that can cause irritation or infection. How to put the lens in your eye. Remove the right lens of the case. Make sure the lens is NOT upside down (turn over if necessary). Place the lens on the tip of your right index. With your head high and look straight ahead, pull your lower eyelid with your right middle finger. Look up and gently place the lens at lower white part of your eye. Then look down to get the lens in the right position. Remove the index finger and slowly release the lower your eyelid. Close your eyes for a moment and the lens will be placed in position. Repeat this process for the left lens. Be careful to always check if the lens is upside down! Use the middle finger of your left hand to pull the upper eyelid to your eyebrow. With the lens in your index, use the middle finger of your right hand to pull down your bottom eyelid. Then with the index place the lens in the center of your eye. As you are in this position, look down to get the lens correctly. Then slowly release your eyelids. Repeat the same procedure for the left lens. How to remove the lens. Look up and slowly pull down your bottom eyelid with your middle finger. Put your index finger to the bottom edge of the lens. Slide the lens down to the white part of your eye. Gently hold the lens between the forefinger and thumb. Pull the lens of the eye. Never use saliva to moisten your lenses, because your mouth contains bacteria that can damage your cornea. Never use tap water to clean lenses. 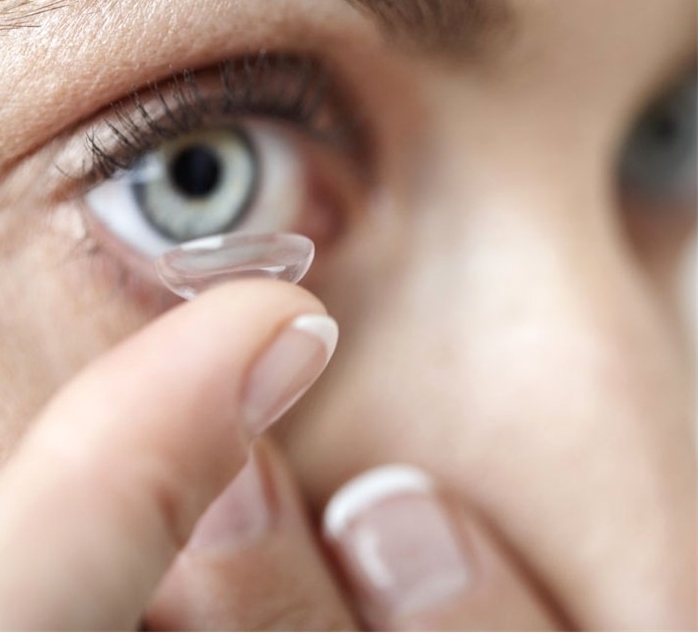 You should not sleep with contact lenses in your eyes. 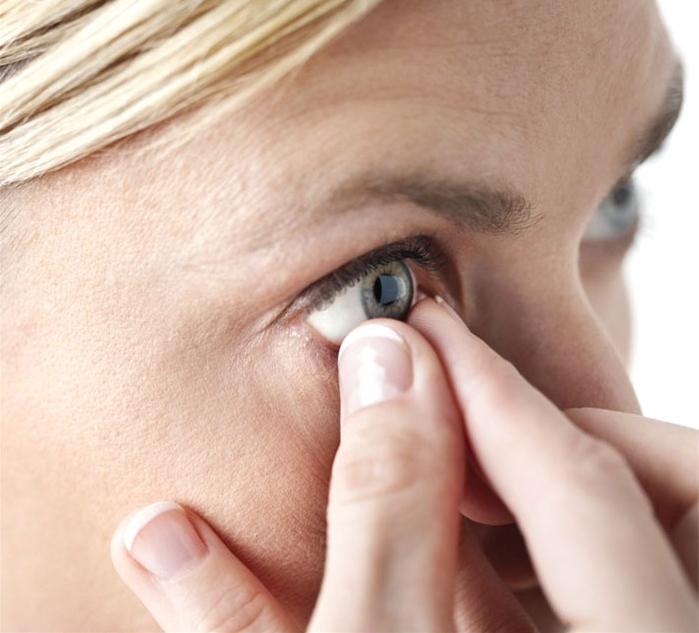 Remove your contact lenses each time your eyes are irritated and do not use them until you feel better. Clean regularly the case of your contact lenses. Clean, rinse and sterilize your lenses each time after use. Keep your lenses in a closed lens case filled with fresh Multi-Purpose Solution. Do not ever reuse the same solution. Do not switch, change or mix lens care systems. 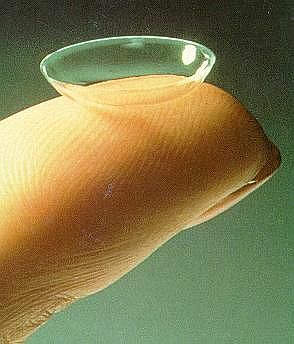 Always wear your lenses before makeup. Use water-soluble cosmetics. Do not allow aerosol sprays to contact your lenses. Use only drops, ointments, or drugs specifically approved by your adviser. Always follow the instructions for handling and care your lenses. Notify us immediately if you notice side effects such as redness, irritation or blurred vision.